Anything nautical is of great interest to me, and much of the mythology and truth surrounding the history of pirates is fascinating, especially the ships they used to plunder their unfortunate victims. Picture being on a journey somewhere and encountering the ominous pirate flag and ship, which could change your life forever. 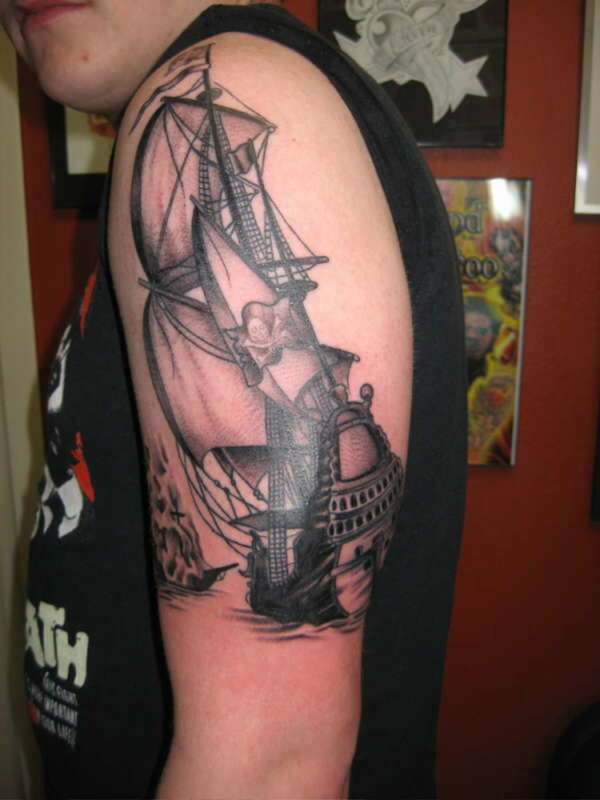 That's the premise behind pirate ship art, and by extension tattoo designs that include a pirate ship theme. 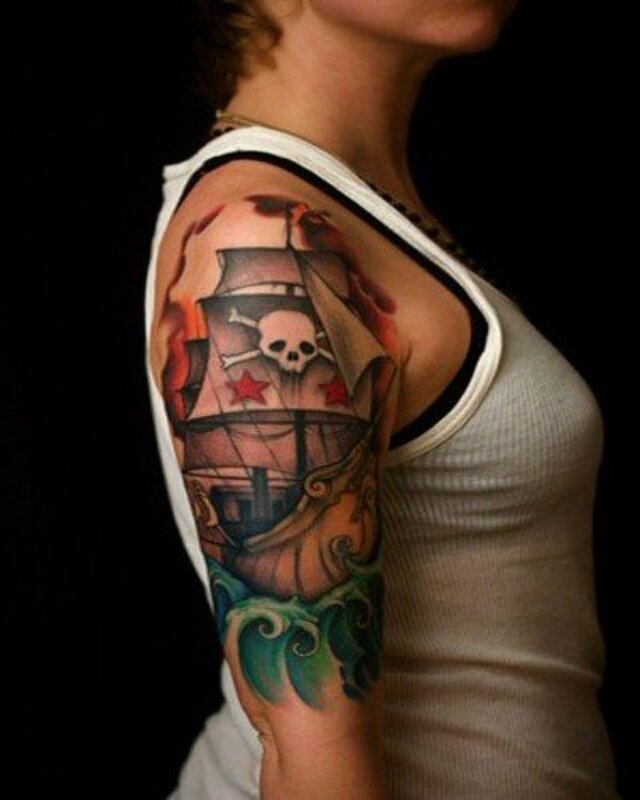 The billowing sails and feeling of dread accompany the images of pirates approaching, and that is displayed nicely in the pirate ship tattoos below. Pirates and pirate ships have enjoyed an increase in popularity over the last several years, probably because of Hollywood's depiction of Jack Sparrow and his crew. Of course, that romanticized version is far from the reality as modern day pirates off the coast of Africa are far from friendly and have taken a number of lives. 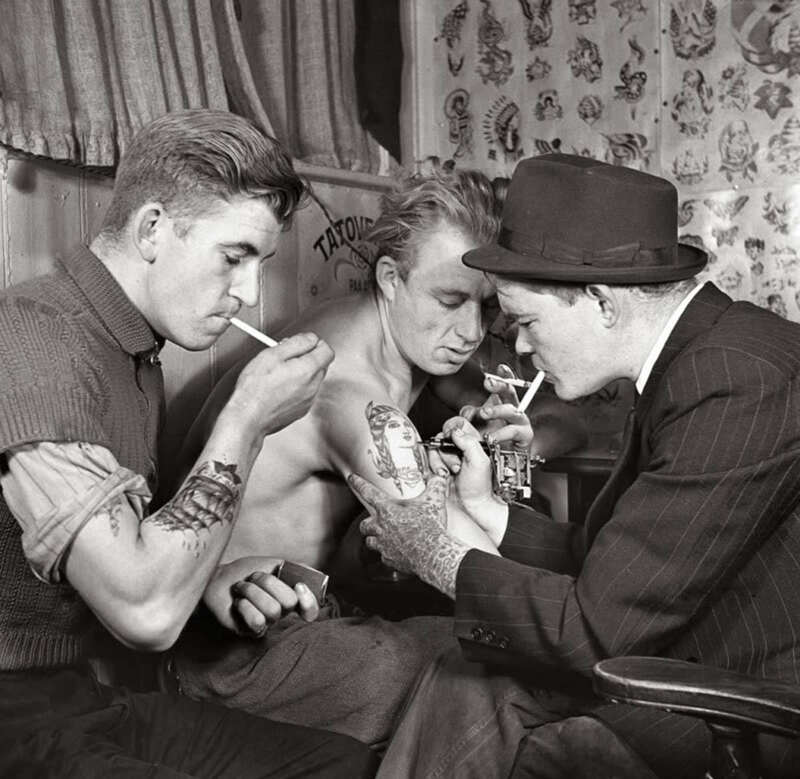 They don't travel in cool ships like the pirates of old though, so they don't make a good choice for a tattoo artist or someone wanting a compelling ship on their skin. 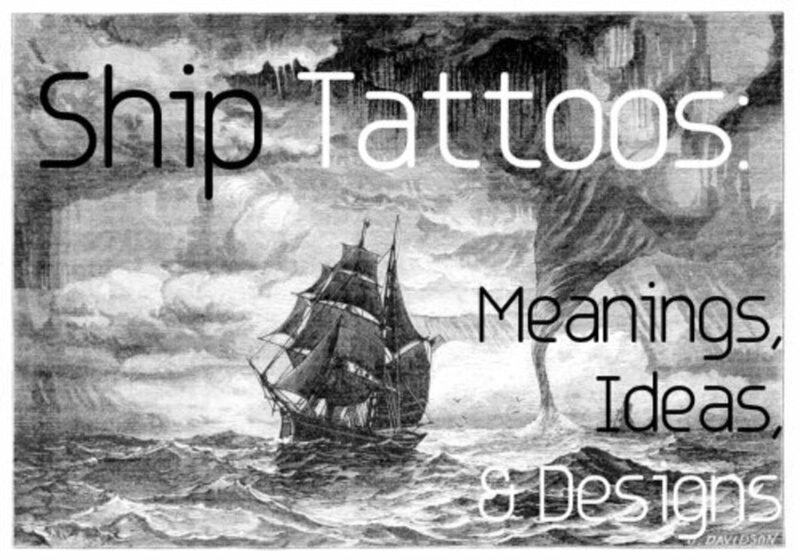 This pirate ship tattoo was chosen to be shown first because it has some good and bad qualities to it. The good is that it had a great idea behind it and captures the spirit of what a pirate was and how they could suddenly appear to their desired victims. The bad is it should have been done in a way that the ship stood out more, as if it was just leaving the fog. In other words, the background should have been lighter, highlighting the ship. Instead, the ship is blended with the background in a way that hides its impact. 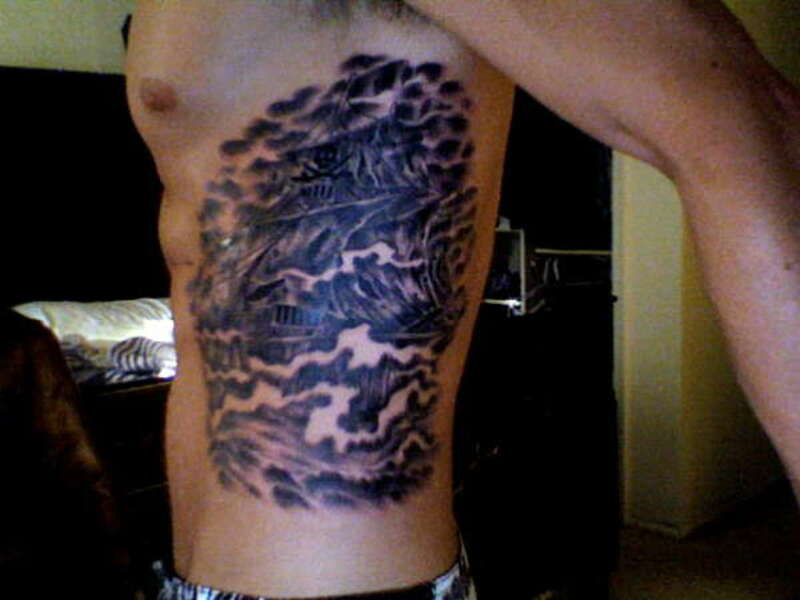 It's still a great tattoo, but a lighter background would have made it awesome. The reason for placing this ship next was to show how it can be presented as the center of the design, rather than blending in with the background in a way to hide the effect. 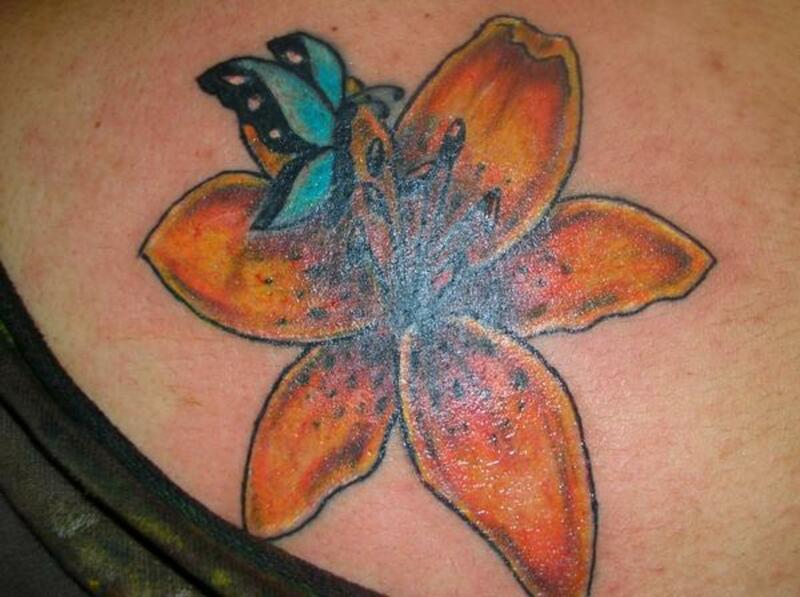 That's not to say it's a better tattoo than the one above, because it isn't. It just shows how good it could have been. As for the one below, the one thing I really do like is the way the ship is shown cutting the waters as it speeds ahead. 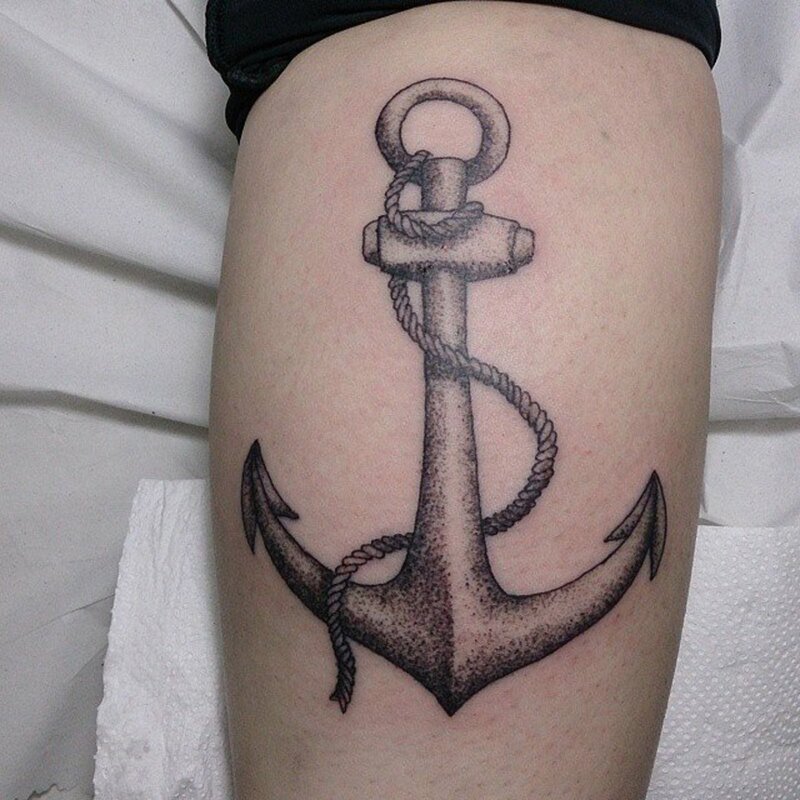 I also like the surrounding edging, which highlights the ship. 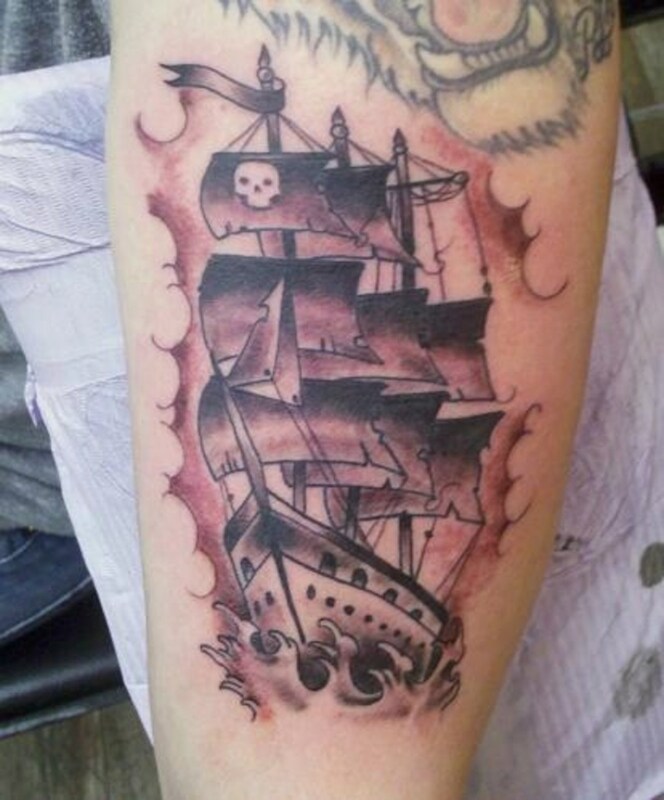 What a great idea to design a tattoo of a pirate ship wrecked on the floor of the ocean. 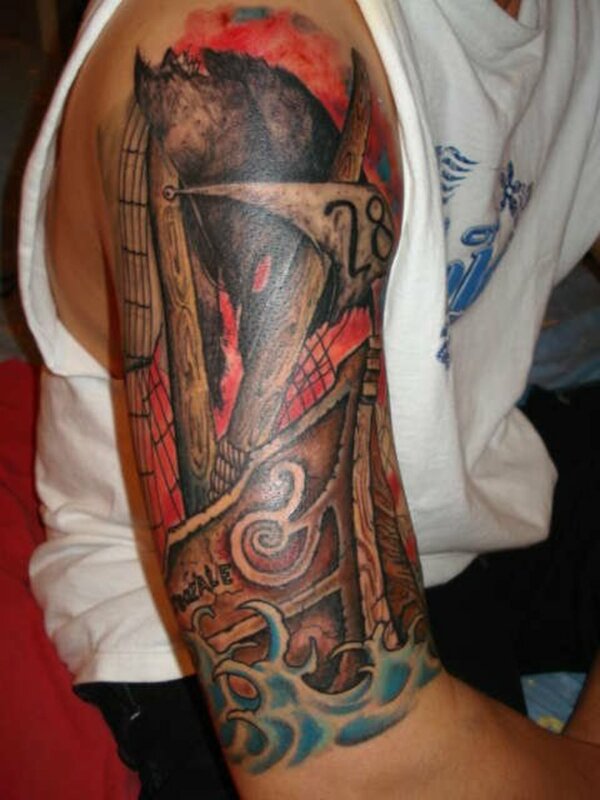 Another interesting element of the tattoo is the decision to have it represent a pirate ship which had been stuck there for a long time. The haunting look of the lifeless ship provides a terrific image. 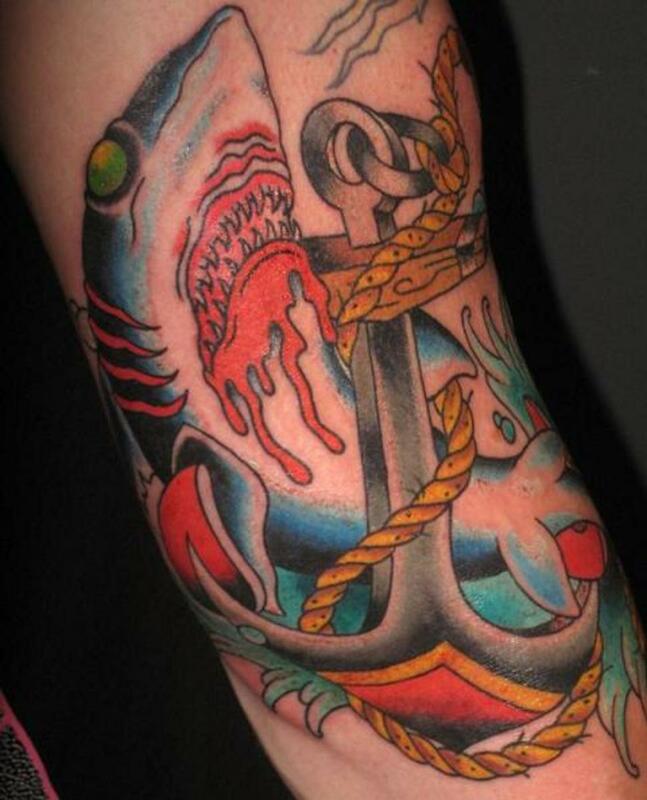 While not a real fan of inking a tattoo that requires a larger canvass on the arm, this tattoo is about as good as you can get in the limited space provided. My favorite part is the way the artist designed the image, skillfully using darker and lighter colors to create a very nice result. Did you notice the ship on fire in the background? Looks great. My only complaint concerning the design is that I would have liked to have seen the pirate flag more clearly. What's a pirate ship without the pirate flag seen blowing in the wind? 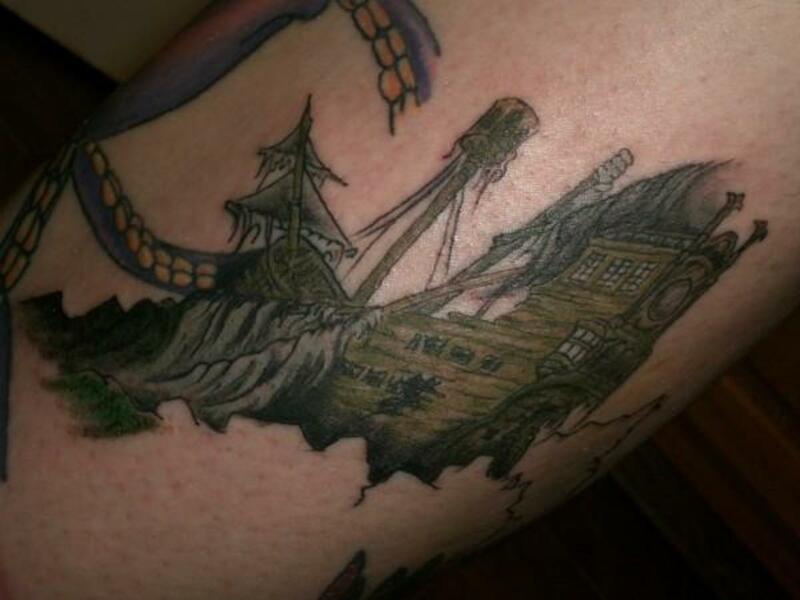 In this final pirate ship tattoo design, you see one that includes color, something I'm not particularly fond of in general for any tattoo, but in this case it's done pretty well. The top is especially nice, at they seem to blend nicely with the darker color. The one area I would have changed is the greenish color of the waves, which clash in my opinion. 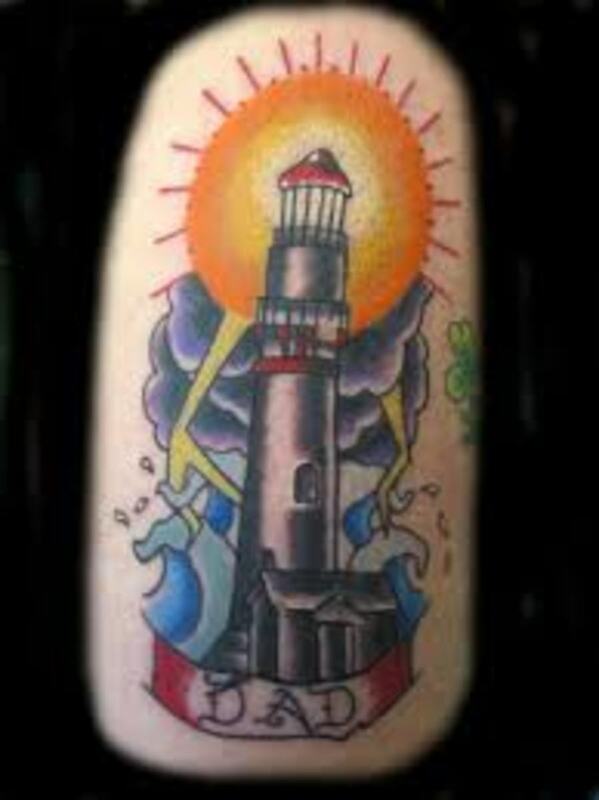 Still, a very well done tattoo. The mystery, exploration, and resultant drama of the high seas always has captured my imagination, as well as many others, and pirates and their mode of transportation have been, up to this day, an integral part of the story. 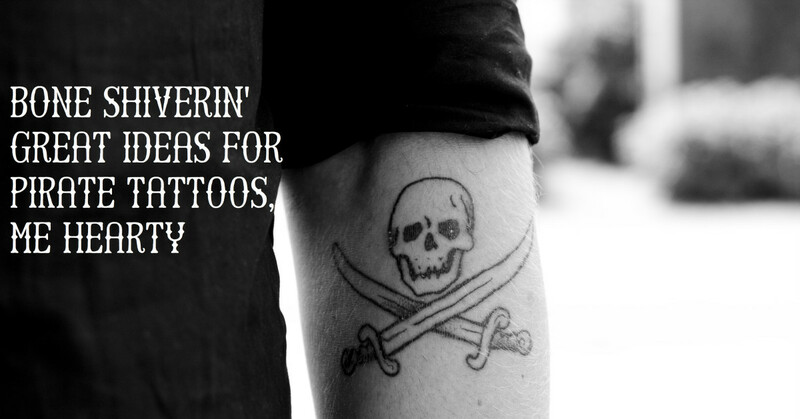 A tattoo of a pirate ship helps us keep in remembrance the dangers of traversing the oceans of the world.